Below is a list of events, important dates, activities and seminars. 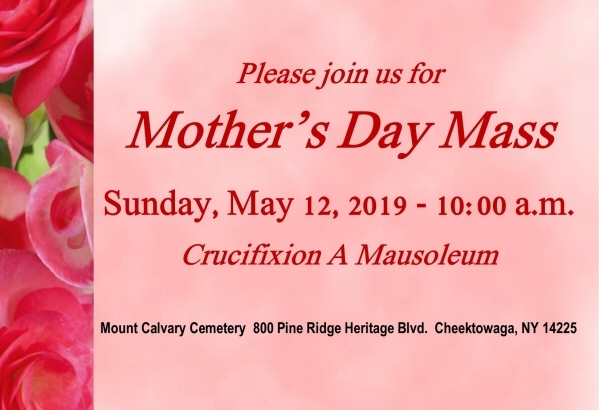 Please join us for Mother's Day Mass on Sunday, May 12, 2019 at 10:00 a.m.
Held at our Crucifixion Mausoleum, Rev. Richard H. Augustyn from the St. Judes' Center, will lead our mass as we honor all Mother's in this uplifting service. Spring/Summer decorations are permitted beginning April 15. Please remove all summer decorations and urns by September 30. Winter decorations and wreaths may be placed beginning November 1. Please remove all the winter decorations by March 14. Containers used for planting are limited to 10" diameter and 16" in height and must be made of granite, concrete, clay or resin. 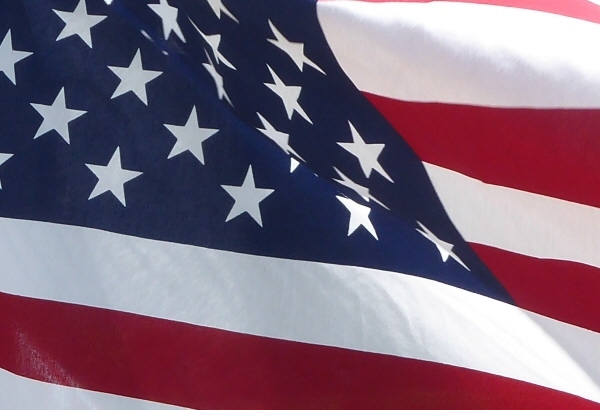 NO flower arranegments or any decorations may be stuck in the ground (including flags). Please place all items in your urn. All reusable containers must be removed from the Cemetery for the winter season for safety and to avoid damage. Disposable containers left after October 1 will be removed and disposed of by Cemetery personnel. If/When winter wreaths become unsightly, the Cemetery will remove and dispose of them along with their container/stand. Please remove all winter decorations by March 15th. Spring decorations may be placed beginning April 15th.